TransDevelopment provided advisory services in the phased development of a new, $3.5 MM high and heavy terminal in Singapore. 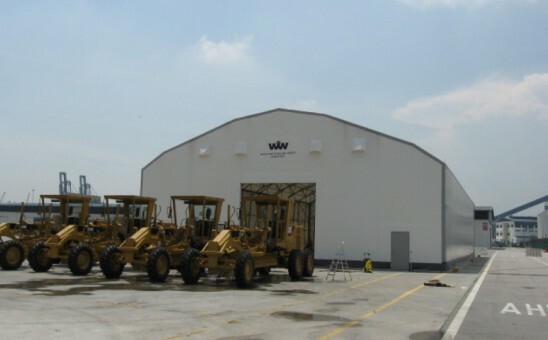 The terminal used a relocatable building, allowing WWL to conform to strict customer timeline requirements within local port authority’s land availability constraints. TransDevelopment’s master plan approach calls for temporary structures in the initial phase using existing general cargo berths, a permanent operations and processing building in the second phase, an expanded site footprint in the third phase, and a dedicated ro-ro berth in the final phase. Key responsibilities included facility layout, specifications, scheduling, and developing a budget detailing landlord-funded and tenant-funded improvements.